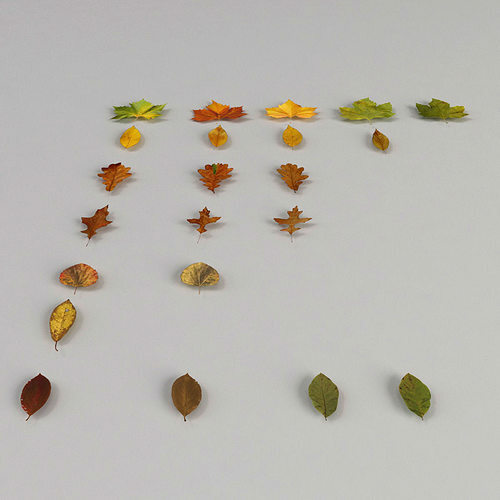 Low poly realist leave collection. Made inside 3ds max 2012. Suitable for 3ds max 2012 files or newer. Max_VRAY_SCENE contains the scene where the preview comes from with lighting set up and render settings. Max_VRAY contains the leaves alone with vray shaders ready to merge them into your scene. Maps from 1024x431 pixels up to 1024x1024 pixels. 3ds Max (.max) (2 files)-Version: 2012Renderer: V-Ray 3.00.03Version: 2012Renderer: V-Ray 3.00.0.